Are you preparing paddocks for sowing or just want to manage the stubble and weeds? 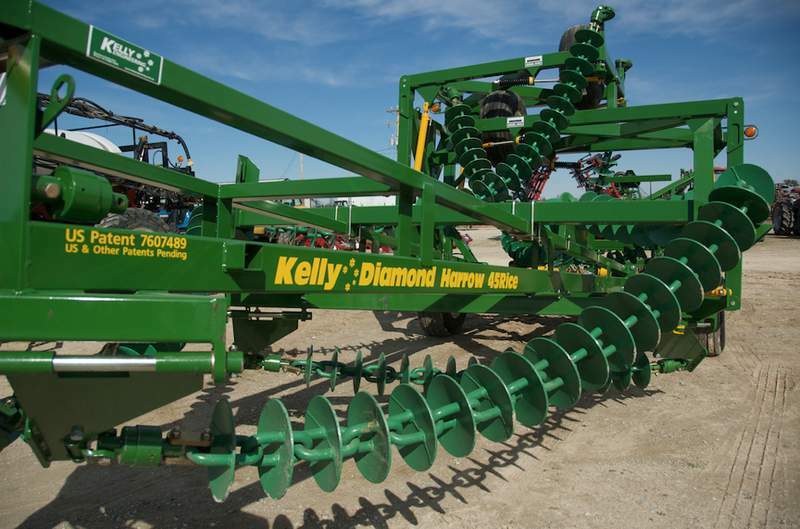 Consider the environmentally friendly and cost effective management of stubble with Kelly Diamond Disc Chain Harrows. Our 12 metre (40 foot) Kelly Diamond Disc Chain Harrows are available for hire. The hydraulic-folding unit features flexible disc gangs on an industrial chain and mounted to a sturdy steel frame. The offset chain system is drawn across the ground at an angle, filling in ruts and controlling weeds, which provides an effective one-pass operation. The Chains are used with the aim of returning crop residue to the soil. They roll down stubble, chop and split it into smaller lengths allowing weathering and microbial breakdown of plant matter. The Chains are an excellent tool for levelling and filling in wheel ruts left by harvesting or spraying equipment. Fields can be prepared for planting quickly and cheaply, as the shallow tilth is ideal for drying out the surface and increasing soil temperature. The Diamond Disc Harrows are more aggressive than traditional “V” Rotary Chain Harrows and more efficient, saving hours of double work. Early access to fields to start crop preparation. Dry out the surface and expose dark soil to the sunlight for soil temperature management pre planting. Take the opportunity today to hire our Kelly Diamond Disc Chain Harrows - the new farming technique that will increase your soil's organic matter and minimise soil disturbance – saving you time and money.